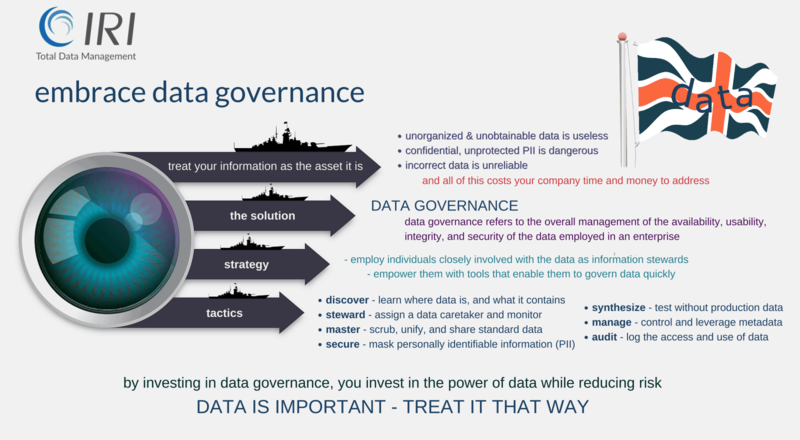 You need a simple, cohesive framework in which to discover and steward data while you: move it, transform and harmonize it, cleanse and/or mask it, and prepare it for reporting and other applications in its lifecycle. Most tools that prepare, govern, or analyze data are not integrated, and their interplays add layers of complexity that can impact performance and the availability of data. They may also not provide the audit trails that satisfy the requirements of your risk and controls framework. 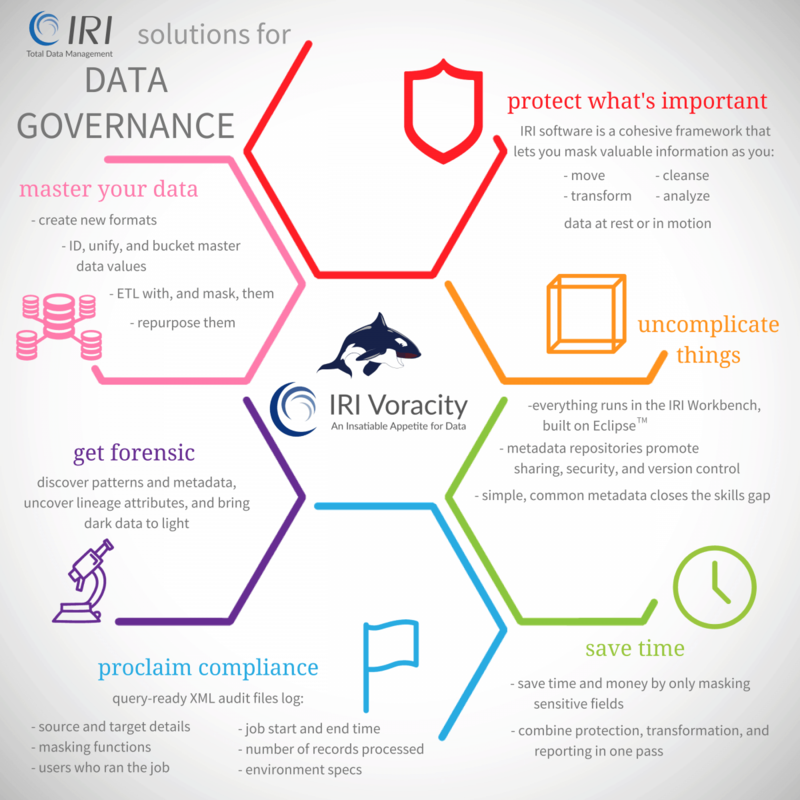 The IRI Voracity platform for data discovery, integration, migration, governance, and analytics uses the built-in data cleansing, enrichment, and unification features of IRI CoSort and the data discovery, masking, and auditing features or IRI FieldShield to replace multiple tools and steps with one product, while providing simplicity, transparency, compliance and auditability. Their common Eclipse GUI, IRI Workbench, provides a single-point of control for the specification of data and rules, plus the means to enact those rules during data integration, migration, protection, reporting, and auditing activities. In other words, you and your team(s) can use Voracity and its free Workbench GUI to do all the things listed above in the same, familiar, and extensible pane or glass. Click through the tabs in this section above to undertsand what you can do, or scan the Data Governance features of Voracity here.